These Case IH utility Farmall U series tractors offer the ultimate Farmall experience. They are hardworking, heavy duty, premium utility tractors with high capacity hydraulics to handle any application. Horsepower Range 105-115 (PTO 90-98). Similar to larger Case IH tractors, the utility Farmall U series tractors feature the groundbreaking engineering of Case IH FPT Engines. Engineered for dependable, quiet, clean operation, utility Farmall U tractors are powered by a four-cylinder diesel engine that is turbocharged and intercooled, clean burning, fuel efficient, and Tier 4A-emissions certified. The rugged 3.4L (207-CID) engine provides maximum power and torque response. With a wastegate turbocharger boosts engine power and torque and reduces noise emissions. All utility Farmall U Series transmission options include an electrohydraulic power shuttle and a 25 mph top speed (tire size dependent). Choose from a 12x12, 24x24, or 20x20 to fit the way you farm. All transmission options feature a hydraulically engaged wet clutch for smoother performance and longer life. With a spacious cab with ergonomically placed controls increase operators comfort and reduction of fatigue. Curved upper windshield for higher visibility and safety during loader operation. Several seat options with four rubber isolation mounts to reduce vibration and noise. Choose a Deluxe fabric seat with mechanical suspension or a fully adjustable, swivel air-ride seat with adjustable armrest. Increase to 6 lamps and 2 wraparound headlights to illuminate your work area. 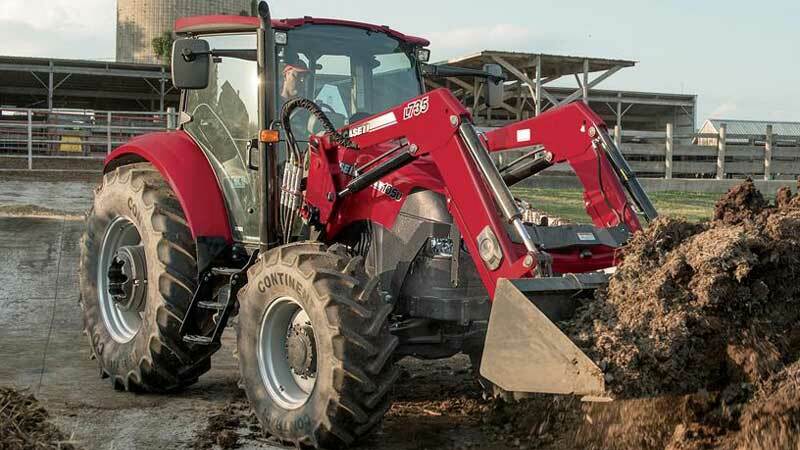 The ultimate Tractor for many operations.